The stylish way to carry para-cord! 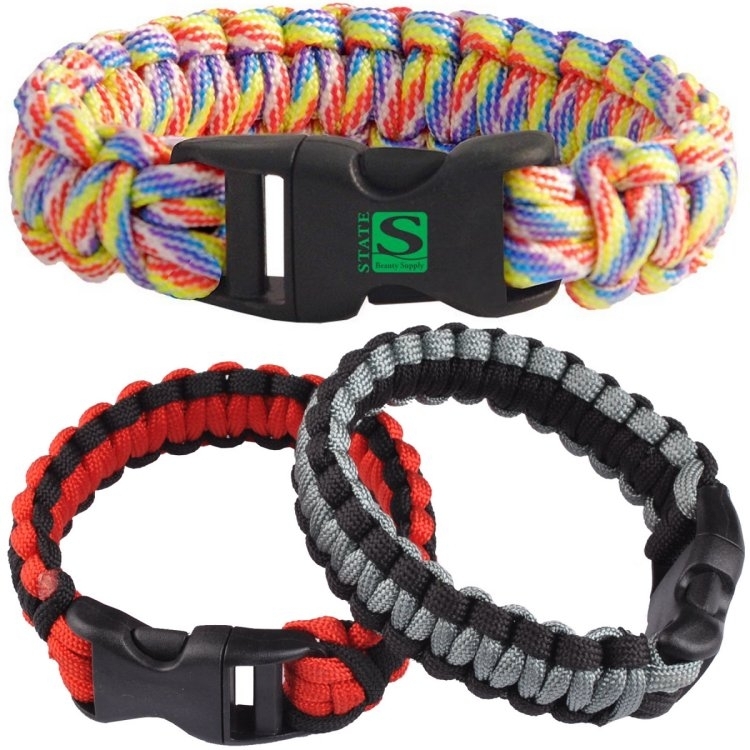 This polyester tactical para-cord bracelet is a great way to stay prepared. It has an easy release plastic buckle and can carry several feet so it can be used in countless survival situations. Uses include: Shelter line, tourniquet, ten string, boot laces, belt, arm sling, fishing line, snares & traps, gear repair, luggage tags, log pull and much more.